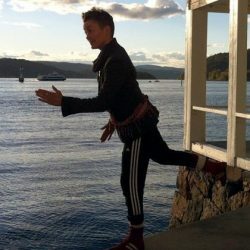 Lex is a creative facilitator, movement and visual artist, permaculture designer and yoga teacher. Lex’s facilitation work draws on 25 years of professional artistic practice, bringing creativity and innovation. That work is based on an understanding of the interconnection of self, community and the earth. Being deeply passionate about inclusivity and diversity, Lex’s practice promotes regeneration and connection with an aim to support all lives to grow with vitality and vigour. Lex’s website.